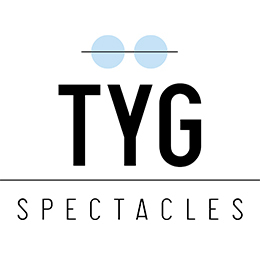 Logo and packaging design for the new spectacles brand TYG. Graphics are simple and clean but at the same time very intuitive and communicative, it differs in packaging thanks to the colour of the lenses, dark or light blue depending on the model chosen. The packaging is smart and young. The detail of the logo inserted in the side of the glasses using the laser printing is a refined and elegant particular.